Let us first define what User experience (UX) is. 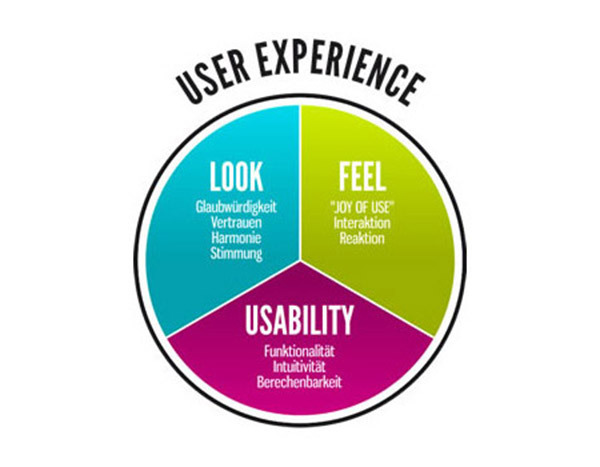 User experience is how a person feel while interfacing with a product, system or service. User experience bring out questions like, does the product/service being used bring any value to the end-user, is it easy and fun to use, does it perform efficiently. Good user experience means you will get “yes” as an answer for the above questions. In case of a website or web application, user experience combines different components of the system such as text, graphics, animation, interface design and interactivity in a seamless experience for the end-user. User experience should work within the context of the system being developed and remain unique to it. As the user experience is tightly linked to the underlying system, we can safely say that behind a good user experience is a great idea being developed. A good user experience is not just about sketching great interfaces, it is much more than that. Work on user experience should start at the planning level, stay till the product launch and should be part of later product updation. Good user experience is all about learning the business model, doing research and understanding how a product/service will affect end-user’s life in a meaningful way. At the very least a system with good user experience should perform all the tasks that it says it can do with minimum efforts from the user side. A good user experience doesn’t come in the way of end-users and the system they are trying to use, rather it works magically in the background to make sure a person has a sense of fulfillment and joy after interacting with a system. Products with great user experience will not go for 10 featured that are good, but will stop at 5 features that are great and only add new featured if it can match the standard set. You cannot satisfy all the people with one type of experience. Because all the humans react differently to different situation, we cannot built a user experience that satisfy all. Instead focus on the target audience and build the whole experience around them. Good user experience make users fully trust a system they are using. Users depend on a system for important tasks and a good user experience hold their hands and guide them through the process without much efforts. In today’s world when a system can be accessed from different platforms and devices, good user experience make sure that interaction with the system is consistent across platforms and devices. Good user experience should make the system independent of which platform or device it is accessed on. Please let me know your thoughts, suggestions and feedbacks.